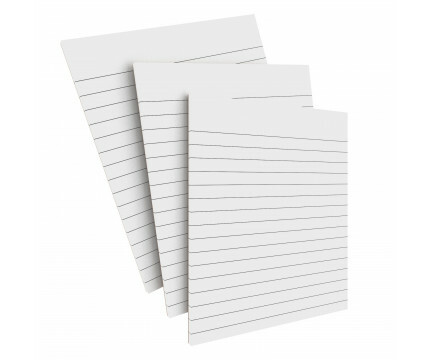 Standard flat letter size nursing clipboard from WhiteCoat Clipboards. Made of lightweight plastic with the ability to carry 100 sheets of paper while at the same time securing all your medical information or important documents. 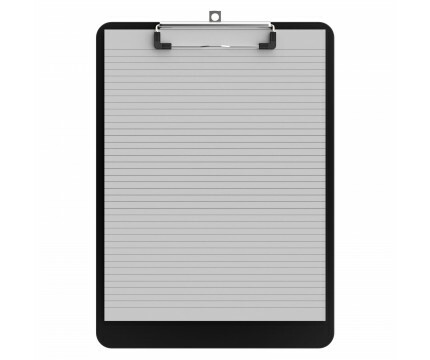 This clipboard is Ideal for taking notes, writing information, or simply having a place to write. 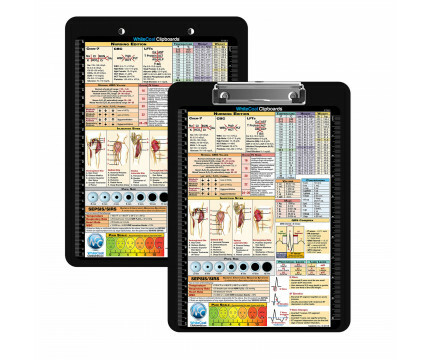 The clipboard also functions as a quick medical reference guide with detailed day-to-day information such as basic laboratory values (metric values), acid base determination, injection sites, pain scale, and much more. To see all the nursing specific information on this clipboard, hover over the clipboard images above to display high resolution details. Weight with Notepad 1 lb.